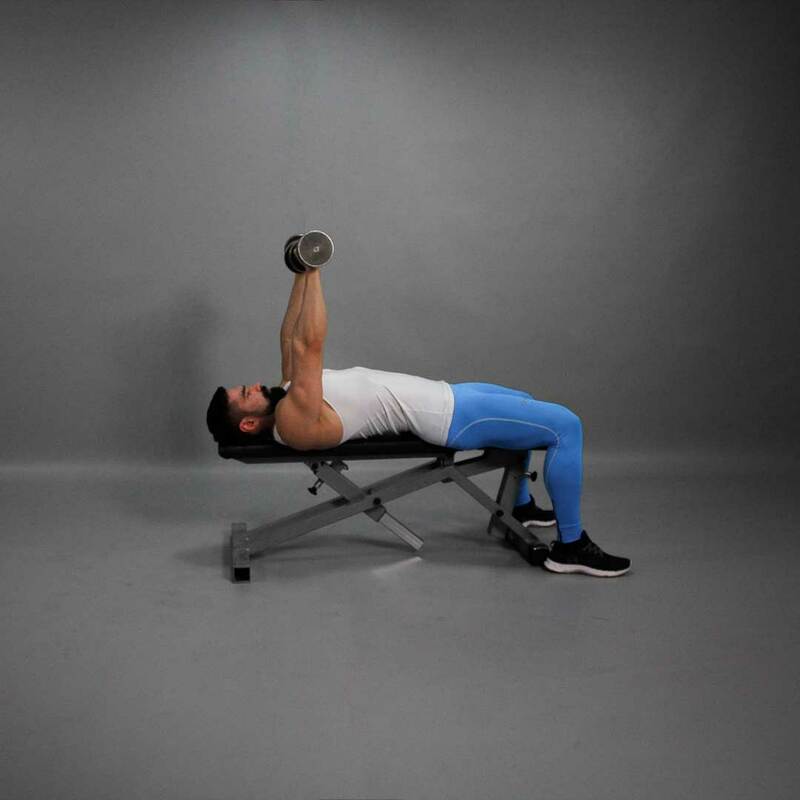 Lie on a flat bench with a dumbbell in each hand. 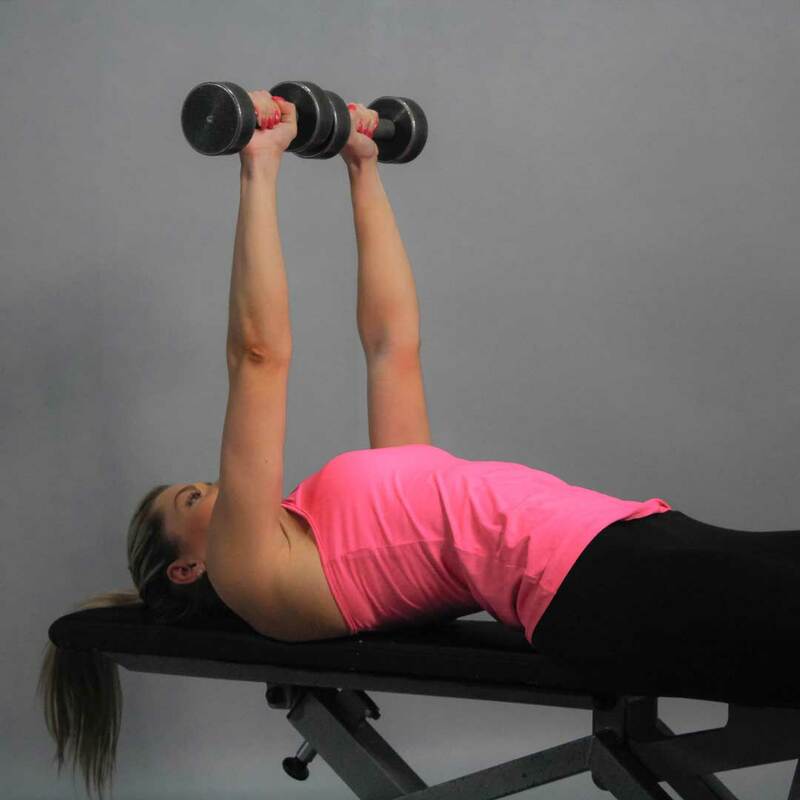 Hands with dumbbells are resting on the top of your thighs. The palms are facing each other. 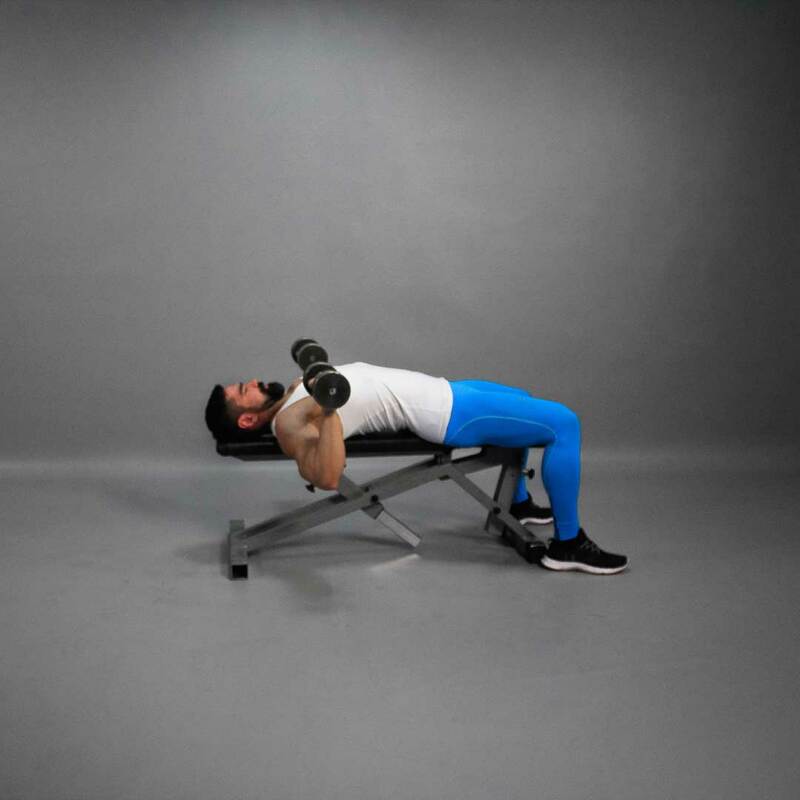 Then, using your thighs raise the dumbbells up so that you can hold them at shoulder width. Rotate your wrists so that your palms are facing forward. The dumbbells should be placed on both sides of the chest while shoulders and forearms should be bent at right angles. Be sure to maintain full control of the dumbbells. This will be your starting position. Exhaling, slowly push the dumbbells up using your chest muscles. Lock your arms at the top position and squeeze your chest. After a brief pause, begin coming down. It should take at least twice as long to go down than to come up. Precautions: When you are done, do not place the dumbbells next to the bench as this movement can cause injury.